I wanted to let everyone know that I’ll be speaking at GameSoundCon, which takes place in Los Angeles on Nov. 3-4, 2013. It’s a fantastic educational summit in which game audio professionals give lectures, provide tips, discuss techniques and share insight into the process of creating great game music and sound. Held every year since 2009, the conference is run by Brian Schmidt. He’s a winner of the Game Audio Network Guild’s Lifetime Achievement Award, he’s an inventor for about 20 patents in audio and game technology, and he’s in the faculty of the DigiPen Institute of Technology. I’m honored to be chosen to speak at this conference. I’ll be giving a talk in the GameAudioPro Track, which is designed to offer content for more advanced game audio professionals. 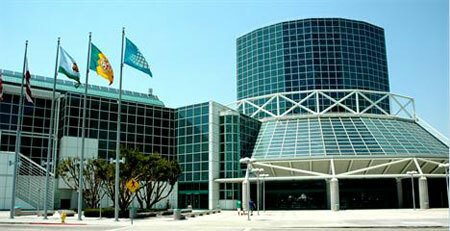 The conference takes place this year at the Los Angeles Convention Center. It’s the first time that GameSoundCon has been held there. The conference will immediately precede GDCNext, which is taking place in the same venue. Since GDCNext doesn’t have an audio track, the synergy between the two events should be very complimentary! Also, you can read more about GameSoundCon at the GameDev.net site. Finally, here is a review of last year’s GameSoundCon written by sound designer Uriel Salazar. In video games, there certainly is a long tradition behind this approach, from the early days of Super Mario Bros. to many modern releases. Games with continuous music are plentiful. I’d agree that music definitely enhances the emotional impact of the events the player experiences, and that music can make the environment feel more involving. But the question is… should the music always be joined together without gaps? A lot of game music implementation designs have tried to eliminate the “seams” between music tracks so that everything runs together… but this goal can’t always be perfectly attained. Taken to an idealized extreme, we might imagine the music of a game could come across to the listener as one large composition – but the technology hasn’t yet reached the stage where this perfectly seamless presentation is possible. If it could be done, would we want our music to be knit together this way? 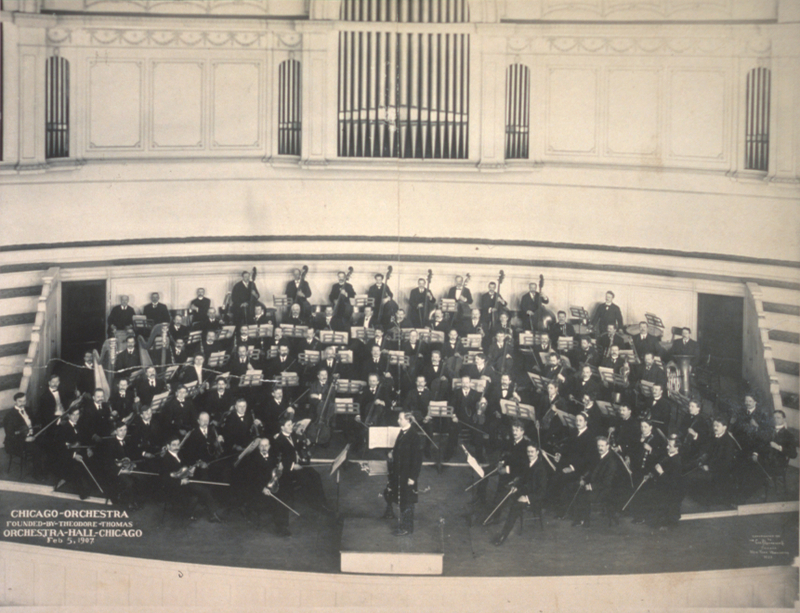 When listening to a symphony, newcomers to classical music are often confused by the gaps between movements. Wasn’t that the end? Why is no one clapping? It can feel odd to sit in silence for the next portion of the work to begin, but the silence can be effective in subtle but powerful ways. The construction of the music has purposefully included gaps of silence in the piece, yet it is still considered one unified work of art. What can silence do to enhance music? Silence can provide contrast, and enhance anticipation… but only to a certain degree. For instance, in a symphony the pause between movements is usually only long enough to provide an aural palette cleanser, so that the resumption of music will be more thoroughly enjoyed. So, would occasional gaps of silence in video games “threaten the immersive bond” and disrupt the player’s enjoyment of the game? It’s a complicated question, and definitely drew my attention when I was reading Stockburger’s paper. I think it’s an important issue, and one that we in the game audio community should be thinking about. You can find a PDF of his paper available at his website. 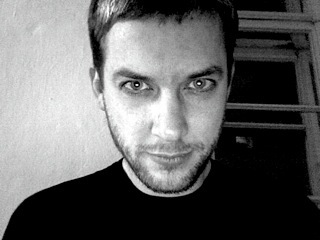 Axel Stockburger is an interesting artist and academic who has studied many aspects of video games – there’s an interview at the GameScenes.org site which provides more insight into his perspective on the subject. This blog entry is about aggression, and how a book about post-production audio also conveyed the particular benefits to having an aggressive approach to the creative process. Every now and then I’ll pick up this aforementioned plain black book from a shelf in my recording studio. The book cover has some script lettering and a modified yin-and-yang symbol in a dull bronze color that doesn’t exactly leap towards the eye. Most of the reference books around my studio are bright and crisp, so this one stands out by contrast. When I pull it out I tend to just flip open some random pages. It usually doesn’t matter where I open it, because there’s interesting content throughout. The author goes by a moniker that bears more in common with a superhero name than a person’s literary pseudonym. 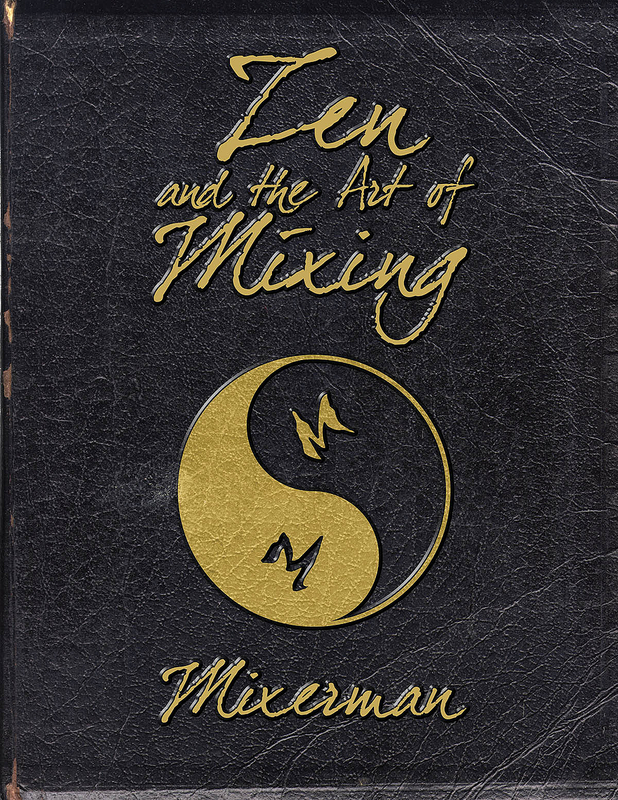 Mixerman is the author of the book, “Zen and the Art of Mixing.” From a practical standpoint, the book doesn’t directly correlate with the work of a game composer, but I find much of the underlying philosophy of the book to be right on the money. I’d recommend it as a solid read for any game audio professional. This mindset is great for developing an innate trust in our own musicality, but can be a difficult skill to master. As kids, we make snap decisions about things we want and then go after those things with single-minded purpose, but as adults we doubt ourselves more. Putting this doubt aside can be tremendously liberating, but it takes some concerted effort. I think the freedom in this aggressive mindset can be extended to all creative acts, including music composition. Taking this a step further, there’s a particular aspect of Mixerman’s “aggressive mixing” that can be directly extended into the realm of interactive music composition. In urging us to make decisions instinctively and impulsively, Mixerman also advises us to not be afraid to strip elements away and simplify our mixes, testing to see if “less is more,” so to speak. Composing for game music interactivity often involves creating submixes of the whole, in which just a percentage of the instruments in the overall composition are playing while the rest are muted. Making decisions about these submixes involves some complex evaluations of what instrument groupings can function without the benefit of the others. I think these sorts of decisions can benefit from Mixerman’s aggressive mindset. Without pausing or leaving room for doubt, we can instead ruthlessly strip away and isolate subsets of our compositions to see what will work and what won’t. Such an approach might reveal very simple submixes that are surprisingly effective on their own. Some bravery and unhesitating aggression might reveal things about our own music that we might not have discovered otherwise. Reading Mixerman’s thoughts on aggressive mixing can be illuminating for a game audio professional, and I highly recommend his books and his web site, Mixerman.net. 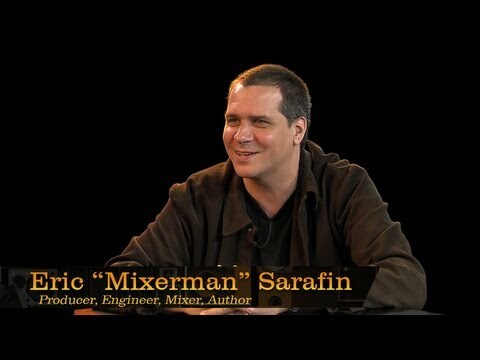 By the way, Mixerman’s non-superhero alias is Eric Sarafin, and you can see an interview with him on YouTube here. 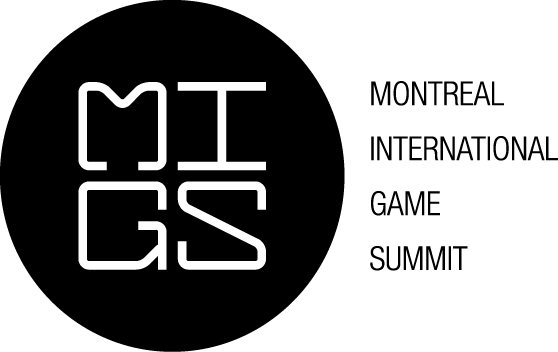 I’m excited to share some great news – I’ve been chosen to be a speaker at the Montreal International Game Summit! I’m really honored that I’ll be attending as a speaker. MIGS will be held this year on November 11th and 12th. Information about my talk isn’t posted to the MIGS site yet, but it will be soon. MIGS is the biggest event dedicated to Canada’s video game industry, and it’s also the biggest game industry event on the east coast of North America. The keynote speaker this year will be Obsidian Entertainment’s creative director Chris Avellone. Very exciting! 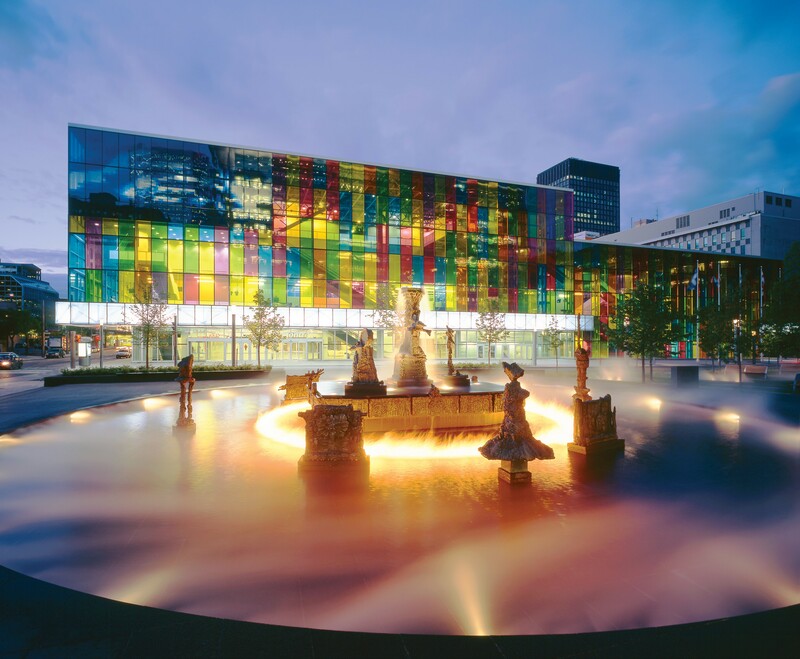 Here’s the beautiful convention center where the event takes place – the Palais des congrès de Montréal. I have a warm place in my heart for the Canadian game industry, having worked with both EA Montreal and Ubisoft Montreal, so it will be a real pleasure to speak to a gathering of such talented people. This will be the Montreal International Game Summit’s 10th anniversary. It’s also my 10th anniversary of working as a composer in the video game industry! MIGS will be a great way for me to celebrate my 10th year writing music for video games. Of all the ways in which I’ve stumbled across my own music on the web, this is one of the weirdest. Wedding videographer Uluk Omurkulov of Bishkek, Kyrgyzstan put together a demo reel showing highlights from his past wedding videos, all set to my theme music from Assassin’s Creed III Liberation. There are beautiful brides in lace holding ivory roses, newly wedded couples waltzing among Corinthian marble pillars, meaningful handholding, devoted eye contact, beautiful scenes of a bride and groom in a snowy winter wonderland… with all shots edited precisely to the driving tempo of the theme music for a video game about an 18th century assassin in New Orleans. While the music choice is definitely odd and creates a bit of cognitive dissonance, it also sort of hangs together in a way that makes me grin. I have to hand it to Uluk Omurkulov – he can definitely shoot a great wedding video. I loved this one. 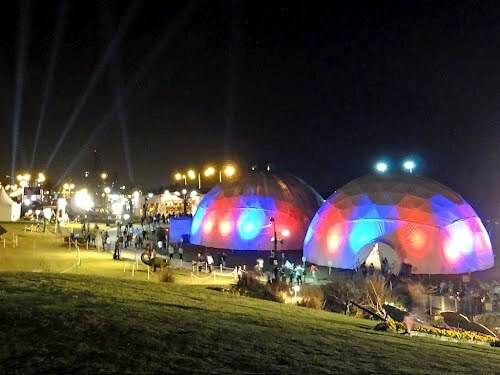 In April of 2012, on the shore lines of Haifa (the largest city in Northern Israel), a huge team of Danish artists and flower designers created whimsical worlds of floral delight housed in 9 large white domes for the International Flower Exhibition in Hecht Park. Over 150,000 visitors toured these domes. One of these was named “Water World” and featured enormous white flowers, floating bubbles, misty filtered blue light creating a subaquatic atmosphere… and my music! The exhibition selected my composition “Haven” from the Spore Hero game (Electronic Arts) as the soundtrack that greeted visitors while they strolled through this magical world of flowers. I chanced upon this YouTube video shot by a visitor to the exhibition, and was delighted by the beauty of the exhibit and the honor of my music being selected for it.